The Burt Reynolds Institute and Harborside Place will host a screening of THE LAST MOVIE STAR as a birthday tribute to the late actor on February 16, 2019 at 7:00 p.m. Ticket proceeds will go to support the Burt Reynolds Institute. The institute involves the community, educates in film, TV, and theater and preserves the legacy of Burt Reynolds for generations to come. The institute is located in North Palm Beach and offers acting, filming and writing courses for novice and experienced actors. The institute also produces original plays in its intimate black box theater. Tickets are $20 to enter; doors at 6 pm with the screening at 7 p.m. There will be a cash bar and free popcorn. 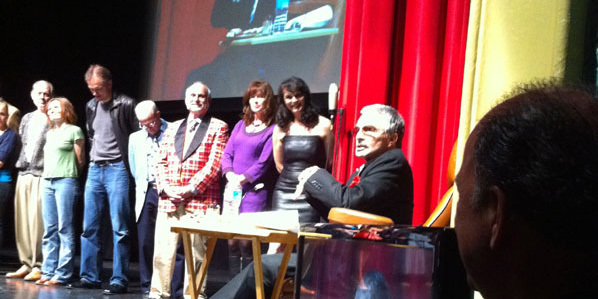 Contact the Burt Reynolds Institute for tickets by calling 561-743-9955.